This course is the 3rd level of training in the TDI’s Cave Diver development program. At this level, student divers are introduced to advanced cave diving planning and execution in different types of cave diving scenarios divers may encounter. 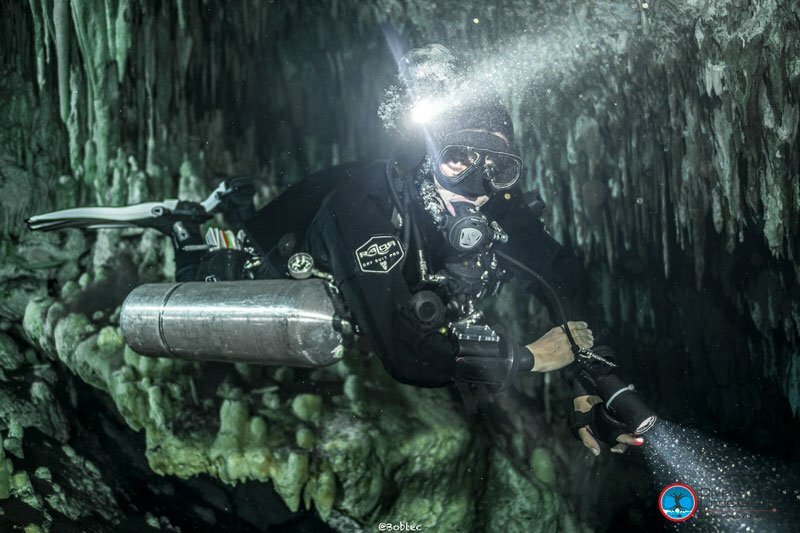 What Does it take to become a Full Cave Diver? 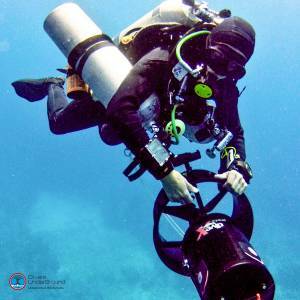 The goal of this course is to expand previous skills learned in the TDI Cavern Diver and Intro to Cave Diving programs. Emphasis on dive planning and skill perfection through actual complex navigation dives and cave penetration. What is the TDI Full Cave Diver Course? The Full Cave Diver course is for divers interested in continuing with their education in overhead environments diving, expanding their diving techniques and capabilities. 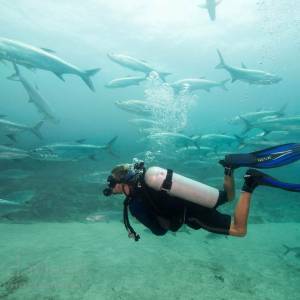 It is the third course of the series where divers learn to deal with complicated navigation dives, restrictions, and fine-tune all the previously acquired skills. Why is Divers UnderGround the best TDI dive center to do your Cave Diver course? 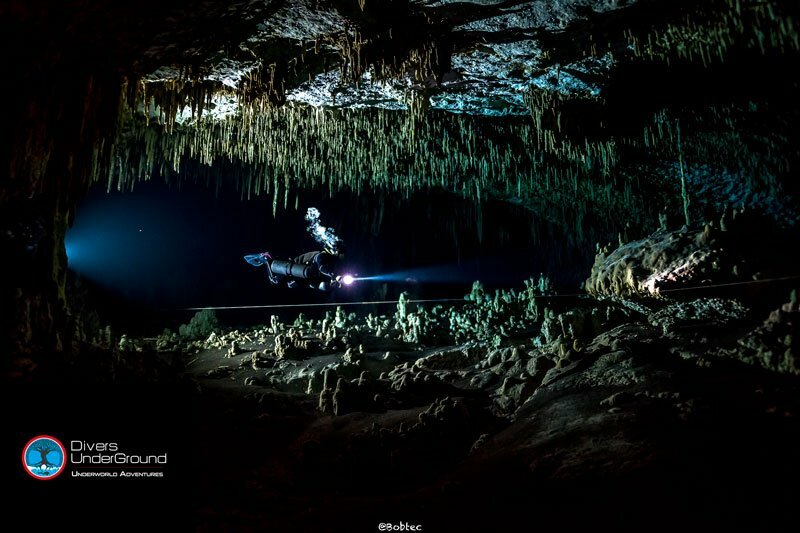 At Divers UnderGround we believe that Cave Diving, and Technical Diving in general, is a sport that has to be taken seriously. Sure, it is fun and is very enjoyable but we have to remember, we are getting into one of human’s most inhospitable places on earth. We need to foresee and be prepared to deal with any situation we may encounter, and even more, we need to learn how to avoid getting into dangerous situations. Once you are a certified cave diver, you will be ready to go cave diving without the supervision of an instructor. 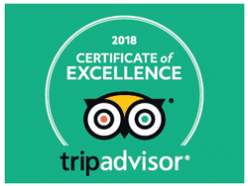 However, is not the certification card that keeps you safe, is your ability to plan and execute safe cave dives appropriately and we make sure you are ready to do just that when we sign that certification card. During training, you will encounter almost all possible scenarios, and we treat them as the worst case. 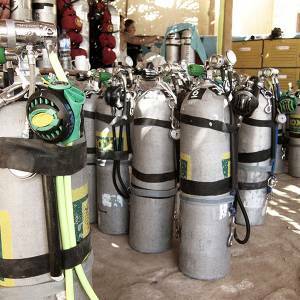 By training in this way, divers are prepared to confront any situation in the cave with the confidence necessary to always come out of the dives unhurt. The course must be taught in no less than 5 days. When combined with Cavern and Intro to Cave a minimum of eight days are required. 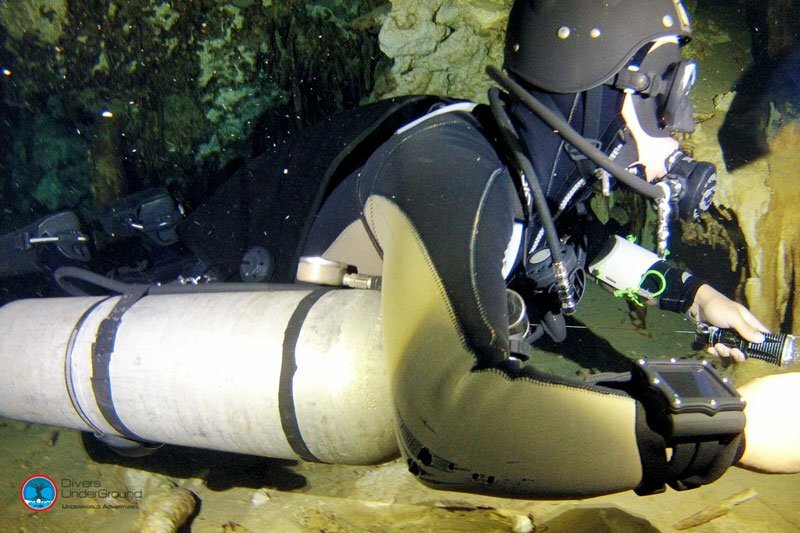 Cave Dives must be within the no-decompression limits unless adequately trained. Complex navigation dives planning and execution. Certified as TDI Intro to Cave or equivalent. What am I trained to do as a Full Cave Diver? Aduquate reel work and line deployment.